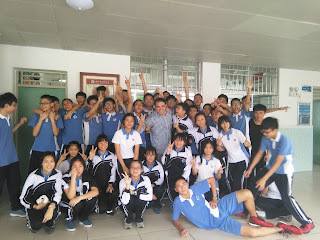 Over the past three years I have been teaching English overseas. Having taken my TEFL certification in Phuket, Thailand and living there for a year, and then landing a teaching job in China. I will attempt to review both countries as an ESL teacher. Some countries ask for you to do volunteer work abroad with them - I would advise not to do this - as you can get paid for the same job. TEFL - What does TEFL mean? Teaching English as a Foreign Language. Which is quite easy, and fun as you are teaching oral English and you don't have to prepare English Grammar classes. So I took a TEFL course in Thailand - it was a 4 week in house course which primarily focused on teaching oral English. There are a lot of online schools and colleges that can teach you TEFL. But ultimately learning with other people is a lot more fun. There is one popular jobs site for teaching in Thailand should pay it a visit AJARN. 8am - 4pm - In Thailand you must do these set hours everyday, you cannot leave the school. - Thailand. Both Countries have the same amount of students in a class which is approximately 50 students in one class. Generally nicer in China, they do there best to help you. Sometimes a bit busy due to immense stress they are under. Thai teachers can be a bit rude, this is down to salary and they don't like the fact foreigners (falang) get paid more for the same job. Both countries would love a blonde hair blue eyed fresh white-skinned young female teacher, but in reality they won't get that. Although in Thailand there is more chance as its easier to get a visa and work permit, so many young travelers become part - time ESL teachers. The jobs in China for Americans and in Thailand are in abundance there are so many available. In China, they require you to have to years teaching English experience with a teaching qualification such as TESOL/EFL/TEFL certification. To get a teaching job in Thailand is the same as China, but you don't need 2 years experience. Both countries require you to be educated to degree level. Overall the Thai's and students are very welcoming and much more pleased to see you than the other country. After all Thailand is the land of smiles. Both countries are similar in costs but the salary in China is high so you will save more money. For example a packet of cigarettes in both countries can cost a £1. I would state that living in a top-tier city in China, rents are a little higher, but schools usually cover the costs. In China students are all put in the same level classes. But in Thailand they are separated - in my school in Thailand the Mattayom 6 high level got the better teaching building. Which was unfair. Where as China every student is treated the same, no matter what level they are at. Questions - If you have any questions about schools in China or Thailand, please feel free to leave a message below.